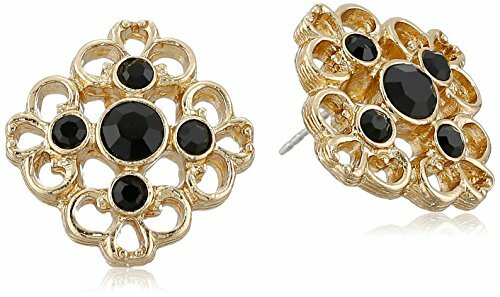 This piece is easy to pair up with any outfit. The jet tone beads are in two shapes and styles. The first is large globe shaped and octagonal. The second is smaller with a flat oval shape. 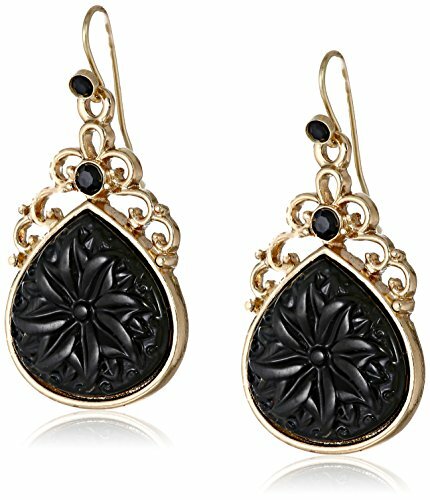 Each accent is separated by a lovely dot-embellished hematite tone spacer Add this piece to your collection! Chain reaction. 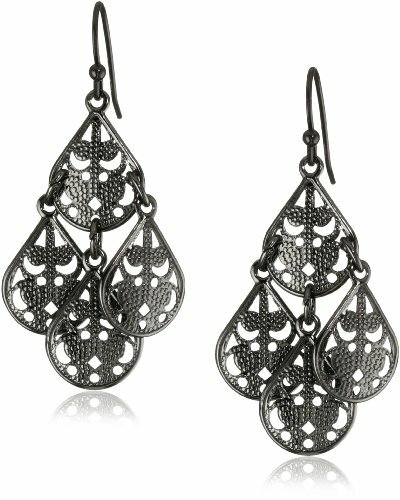 Chunky chains of mixed black and gold-toned metal add a little edge to any ensemble. Features a lever back closure. 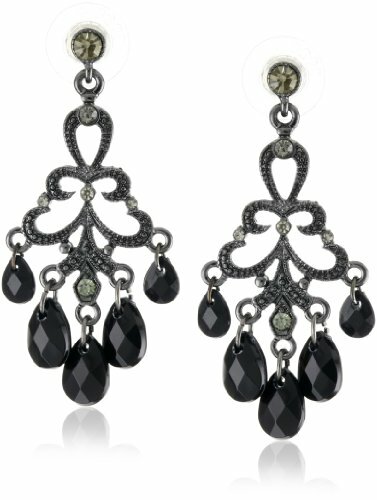 Created for our Signature 1928 Collection. A black beaded bracelet that is anything but basic! 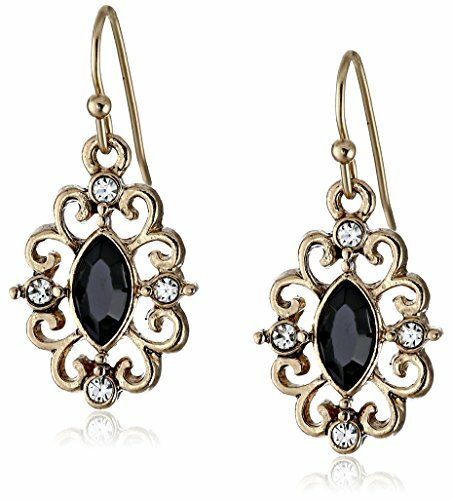 This delightful adornment is the perfect accompaniment for your little black dress. 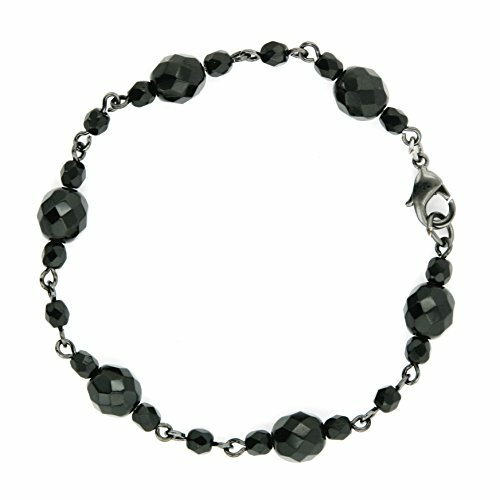 A row of dual sized, onyx-color multifaceted accent beads dance along a polished hematite tone chain. 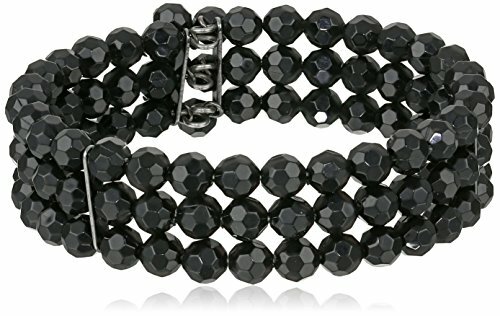 Express your style with this jet black beaded coil bracelet featuring a tri-layer of shimmering black beads on a hematite finish.